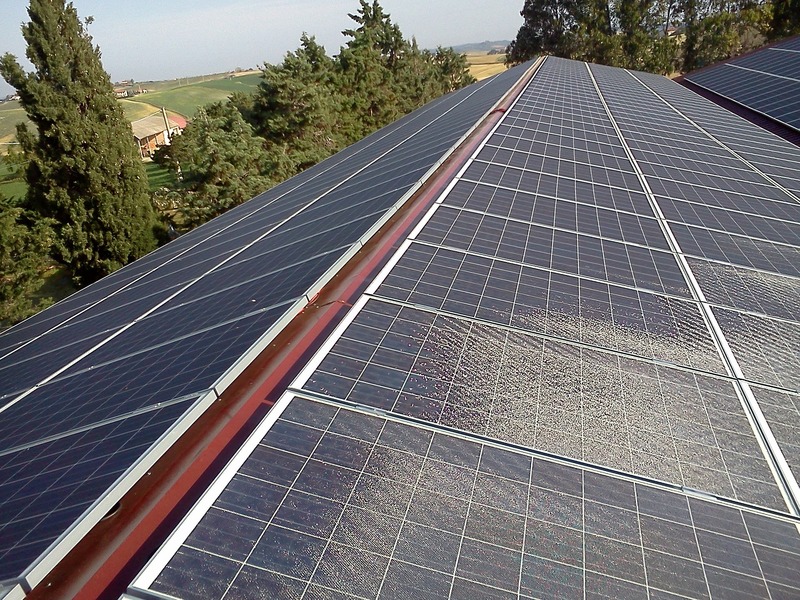 Picture of a rooftop PV installation. ISE actively works on solar PV self-consumption solutions both for companies and individuals, and is preparing the construction of a rooftop installation for the new industrial warehouse by the Almería fruit and vegetable company Iberveg. ISE offers its services for the installation of solar PV self-consumption projects, an energy model that allows for substantial savings on the electricity bill and also helps to protect the environment. Recent legislative changes in Spain have increased the demand and potential of self-consumption in this country, because now the procedures are simpler, it is easier to sell excess energy by injecting it into the grid, and the controversial “solar tax” has been eliminated, among other benefits that will finally boost this model in Spain. In a context like this, there is an increasing number of clients who choose ISE, a company with extensive experience in the solar sector, to take advantage of what solar PV self-consumption has to offer in their businesses and private houses. The company is currently preparing a rooftop PV installation for self-consumption in the new industrial warehouse by Iberveg, a company that exports fruits and vegetables to European wholesale markets. The headquarters of this company are located in Almería (same as ISE), and the warehouse is also being constructed in this southern Spanish city. With a capacity of 53 kWp, the self-consumption installation will generate 30% of the energy demanded by Iberveg at the warehouse, which will save around 9.000 euros each year for them. The PV system is expected to be connected and launched on late January, when Iberveg finishes work on its warehouse. In addition, ISE is also working with private individuals who wish to install solar PV systems for self-consumption in their own houses. This is evidenced by the deal that the company has signed with a four-member family, also in Almería, for installing a PV system at their newly constrcuted single-family home. It will have an initial capacity of 5 kWp, with plans to expand to 6 kWp and to implement a storage system in the near future to achieve almost 100% independence from the electrical grid. Thanks to it, this family will save around 1.000 euros each year. Photovoltaics and self-consumption are experiencing a boom in Spain, and ISE is the ideal partner for taking the leap and start saving money generating your own energy. The company has some of the best professionals in the solar sector, and many years of experience in international projects. If you want to install a solar PV self-consumption system at your home or business, contact ISE at the e-mail address contact@ingenia-se.com or at the telephone number +34 950 27 80 20.